Mrs. Goody was an important public advocate for good design. It was at Alhambra Palace in Granada, Spain, that Joan Goody realized she wanted to be an architect. A college student at Cornell, she was doing her junior year abroad in Paris, when she took a side trip to Spain. Mrs. Goody became a nationally known architect and a leader in the cultural life of Boston. She died of cancer Sept. 8 in the renovated Beacon Hill carriage house that was her longtime home. She was 73. Mrs. Goody was the senior member of the Boston firm Goody Clancy, with more than 100 employees, known for its work in city and campus planning and historic preservation, as well as in the architectural design of new buildings. In her firm, Mrs. Goody took the lead on a remarkable variety of projects. She listed some favorites in a recent talk with the Globe: the restoration of Trinity Church at Copley Square, including the creation of a major gathering area in a former cramped basement; Harbor Point, where she transformed a dismal public housing project into a mixed-income neighborhood; a federal courthouse in Wheeling, W.Va., where she mixed modern with traditional motifs; the Salomon Center for Teaching at Brown University; and Heaton Court, a small, affordable housing cluster in Stockbridge. More recently, Goody Clancy was selected as lead designer for the conversion of the former St. Elizabeth’s Hospital in Washington into a new headquarters for the Department of Homeland Security. Joan (Edelman) Goody grew up in a two-family house in the Flatbush neighborhood of Brooklyn. She always credited her years at New York’s Ethical Culture School with fostering self-confidence and creativity. At Cornell, she was a history major who graduated Phi Beta Kappa in 1956. After Cornell, Mrs. Goody went on to earn a master’s degree in architecture at Harvard. In 1960, she married another architect, Marvin Goody, some time after their families suggested that they get together. She joined his small firm as an employee and became a partner in 1968. Marvin Goody was a founder of the Friends of the Public Garden, and when he died in 1980, Mrs. Goody designed a memorial circle in pink granite near the garden path where the couple once walked each morning to their office on Boylston Street. In 1984, Mrs. Goody married Peter Davison, a poet and editor. They had been introduced by Davison’s wife Jane Truslow not long before she died. An only child, Mrs. Goody took special pleasure in the family that Davison, a widower, brought with him. Her stepdaughter Leslie Davison of West Palm Beach, Fla., recalled: “Joan used to say that she married my father for his children, that she was able to sidestep my brother’s and my adolescence, yet received the gift of becoming a grandmother to four adoring children.’’ Peter Davison died in 2004. Mrs. Goody loved the islands of Maine, where she and Marvin sailed and built a house. With Davison, she spent weekends on his sheep farm in Gloucester. “She was always seeking a way to get outdoors,’’ said Leslie Davison. 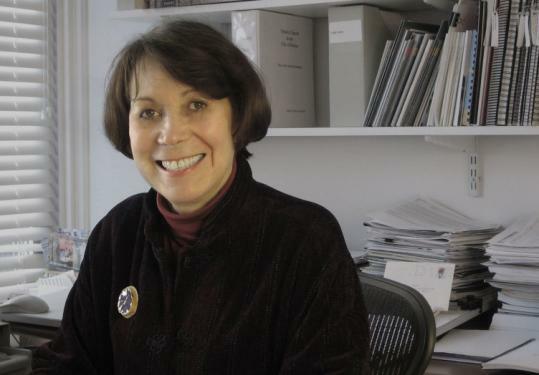 Mrs. Goody was a Fellow of the American Institute of Architects and in 2005 she received the annual Award of Honor for lifetime achievement from the Boston Society of Architects. She taught architectural design at Harvard in the 1970s. In recent years, she was president of Boston’s Saturday Club, a group that meets monthly for lunch and discussion. In addition to her step- daughter, Mrs. Goody leaves a stepson, Angus Davison of Belmont; and four grandchildren. A private gathering of friends is planned for later this month.